Welcome to Surfside Coogee Beach! You come to Australia to experience a different lifestyle & this is where it is; on the beach at Coogee Beach - an awesome beach suburb of Sydney, Australia, located just 15 minutes from the City, International & Domestic airports, Sydney Harbour, the Opera House and the Harbour bridge. 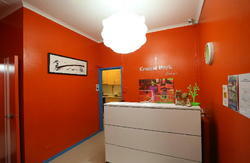 Surfside Coogee Beach offers quality budget accommodation with a pumpin' beach vibe. It is the perfect place to be in Sydney being so close to the City with the physical beauty of the surrounding coastline, cliffs & beaches, and home to some of the best bars in Sydney! Come stay with the sound of the ocean in your ears and golden sand between your toes. Day or night, our beaches offer a massive range of bars, cafes, restaurants and thumpin' clubs. Start & finish your Aussie adventure with us on Coogee beach to make your whole Downunder experience complete. Surfside Coogee Beach looks directly over the beach. Our layout of share rooms & apartments means our guests have the choice of having a social or relaxed vibe. Our large balconies are there to meet new friends, eat, drink & watch the ocean, whilst our apartment balconies are suited to chillin' and taking in the views. 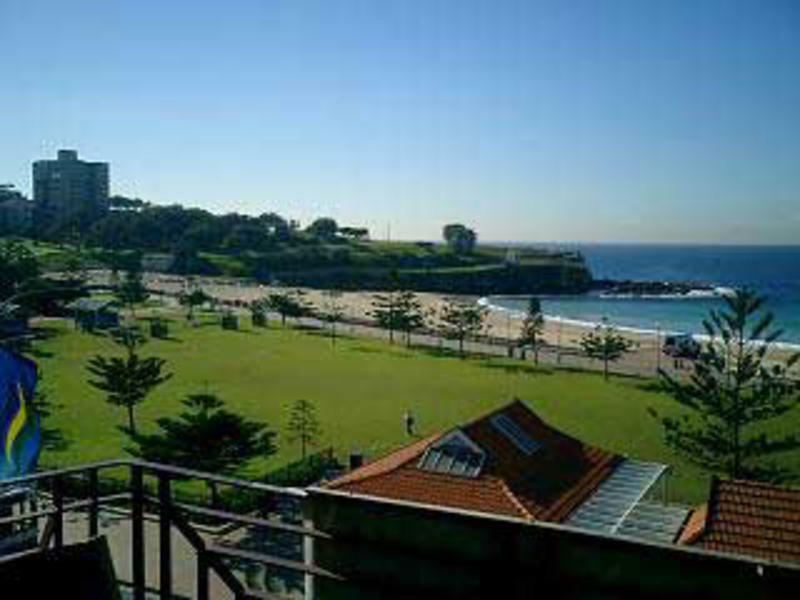 Coogee Beach is a massively popular spot to hang for a while, whether to work, surf, party hard, or sleep well. We provide each bed with a fitted sheet, a fat pillow and warm, fresh clean doona (a doona is aussie for duvet, quilt, or comforter depending on where you are from). We charge AUS$3 for bedding at Surfside however in return for this service we do provide you with AUS$3 worth of free internet. Check in at Surfside is 11am. If you do arrive early & we are unable to check you in immediately, however we can offer you bathroom facilities, luggage storage & access to our kitchen, laundry, internet & TV lounge facilities. Check out at Surfside is strictly 11am, even with a hangover. We offer departing guests all facilities until they need to leave. We also offer late check outs for a small charge. Our friendly reception staff are trained to help new comers to Australia. We can help with getting started in Australia with things such as tax file numbers, Medicare cards, medical centres, doctors, dentists and bank accounts. We can also help with faxing, photocopying, mobile phones, VIP cards, Airport shuttles, public transport information plus heaps more. We have three pay-as-you-go internet terminals available 24 hours a day, a fully equipped kitchen, a restaurant downstairs, Fivo's, offering you $5 meals, a self service laundry, or charged laundry service, a combined TV room, reception and dining room with DVD's and satellite channels. There are locks on all bedroom doors and we have CCTV in communal areas and have an office safe for valuables. We have surfboards, wetsuits and rash vests available free to all of our guests from 8am to 11am every day, or for $7 outside of these hours. We also have body boards, snorkels & masks, fishing rods, roller blades, fins & cricket, soccer, rugby, volleyball gear also available free to all of our guests. Finally, we look forward to seeing you here with us at Surfside Coogee Beach! Follow any road into the city from the west, use Cross City Tunnel or Cleveland St to reach Anzac Parade, take left turn onto Alison road following signs to Randwick & Coogee Beach. Follow Alison Road, past Randwick Race Course, past Belmore Road, past Avoca St, past Carrington, Mount & Brook Streets. Turn right at mini roundabout at Arden Street, drive down hill to Coogee Beach. We are located directly across the road from the centre of the beach, next to bus stops and above Mcdonalds. Follow any road into the city crossing the Sydney Harbour Bridge or Sydney Harbour Tunnel, stay on Eastern Distributor taking Randwick exit which pushes you onto Anzac Parade, keep going, then turn left onto Alison road following signs to Randwick & Coogee Beach. Follow Alison Road, past Randwick Race Course, past Belmore Road, past Avoca St, past Carrington, Mount & Brook Streets. Turn right at mini roundabout at Arden street, drive down hill to Coogee Beach. We are located directly across the road from the centre of the beach, next to bus stops and above Mcdonalds. Follow any road past Airports along Southern Cross Drive, (do not enter Eastern Distributor), stay in left lanes, through lights, past VW garage, onto next set of traffic lights where you turn right in Dacey Avenue, Go straight at next set of traffic lights onto Alison Road following signs to Randwick & Coogee Beach. Follow Alison Road, past Randwick Race Course, past Belmore Road, past Avoca St, past Carrington, Mount & Brook Streets. Turn right at mini roundabout at Arden street, drive down hill to Coogee Beach. We are located directly across the road from the centre of the beach, next to bus stops and above Mcdonalds.